At Interaction 11, one of the keynote speakers, Richard Buchanan, spoke about having empathy for what you deliver and the material that makes this up. This particular phrase and the way it was described stuck with me. We, as UXers, are always trying to define who we are, and what we do. WE know why we’re important, however there aren’t many tangible deliverables that “show off” who we are and what we contribute. This, of course, leaves us feeling lost and left out, misunderstood and just plain annoyed. I think one reason why we are so “lost” is that a good deal of us have first, not clearly defined what it is we deliver, and second, haven’t developed empathy for that which we deliver. As a UX professional you can deliver many things right? The first thing we always think of are wireframes… it’s always the first thing that I’m asked for. However, I know those do not define my work as a UX professional. I know there are many other things that define who Lis Hubert is as a User Experience Consultant, but wireframes are not one of them. I have found that many of us are in the same predicament. We know what we do but what we deliver is an incorrect representation of our profession, thus leaving us frustrated. How do we solve this? First, I think we need to clearly define what it is we deliver. What do you deliver? Not because someone said we need wireframes, but if you were in an ideal world, what would you say you deliver? I deliver several things but I guess the most important is a narrative or experience for the user to move through. I also deliver a user perspective based on my research and insight. I deliver personas, yes but more importantly I deliver the emotion behind them. These are, of course, just a few examples to help you start your list. Now I need to develop empathy for these “deliverables”. How in the hell does someone do that? Well what I gleamed from the presentation is that we need to dig to the root of what these things are that we deliver, really understand them. So in the case of a wireframe, we need to have empathy for drawing the activity/material needed to create this document, to really understand what this deliverable is about (a drawn representation of a future screen). An interesting note, I hate drawing, which gives me some insight to my dislike of wireframes… just putting that one out there. The point is that this empathy for a material, is really about knowing it, understanding it inside and out (so I guess for user research one would have empathy for well… empathy) almost become one with it. So what does this accomplish? By going through these steps, really defining who you are as a professional, what it is you deliver to your clients (whether in house, agency, indie you have clients), and having empathy for that material/deliverable you are passing along, you have now defined yourself as a UX professional. I am Lis Hubert, researcher, strategists, lover of all things empathetic…. 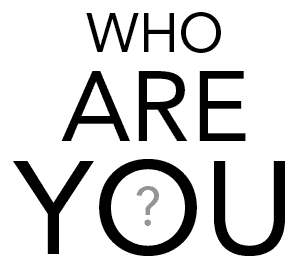 Who are you?